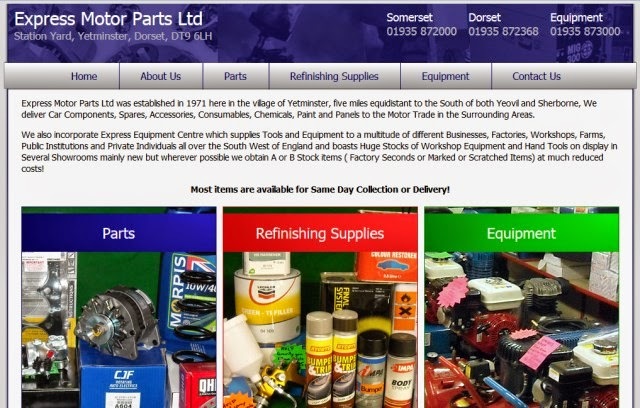 I was pleased to be asked to produce a new website for a local independent automotive parts, paint refinishing and workshop equipment supplier. Having had minimal previous web presence it was possible to make a fresh start using the client's brief. 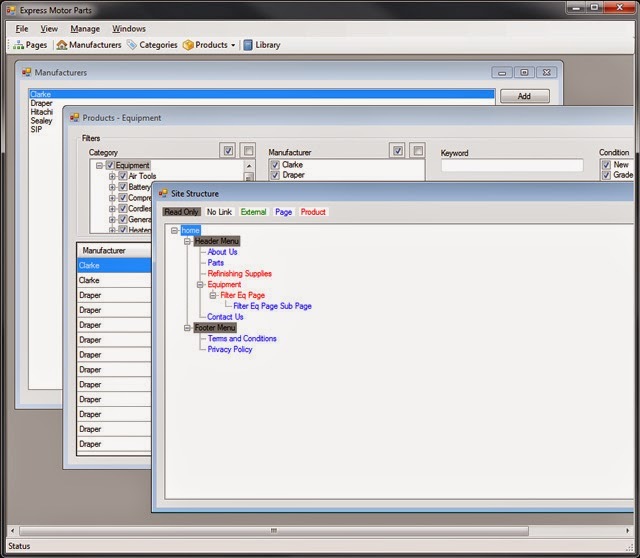 Provide a straightforward management application/interface. User searchable database of equipment and refinishing supplies. Shopping basket facility to allow customers to add products to a short list and send an enquiry for their short list. Working closely with the client I produced a bespoke management application enabling fast efficient updates to the product database and website. The website was developed to provide a simple, user friendly interface for customers to browse, select and enquire about products.